A closer look at the day's most notable stories with The National's Jonathon Gatehouse: kidnappings for cryptocurrency ransoms a growing trend; Garden Hill First Nation a prime example of the serious water problems on reserves; China has a bad smoking habit that's proving extremely hard to break. Kidnappings where ransoms are demanded in cryptocurrency are rising around the world. 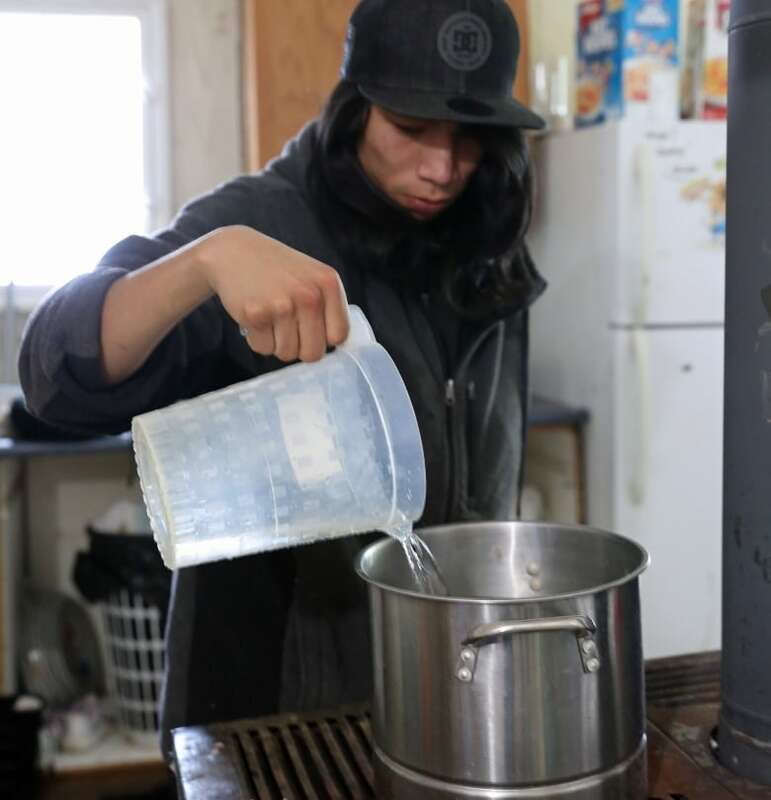 Having safe drinking water on tap is taken for granted by most Canadians, but Garden Hill First Nation in northern Manitoba is a prime example of the serious water problems on reserves. China has a bad smoking habit that's proving extremely hard to break. 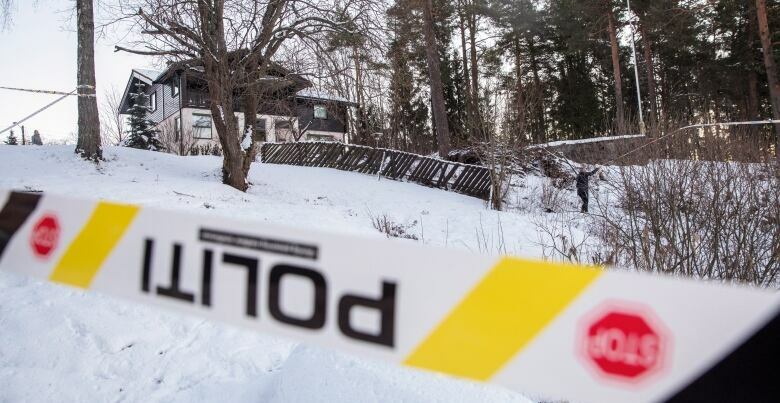 The wife of a Norwegian energy tycoon has been kidnapped, police revealed today, and her abductors are demanding a huge ransom — in cryptocurrency. 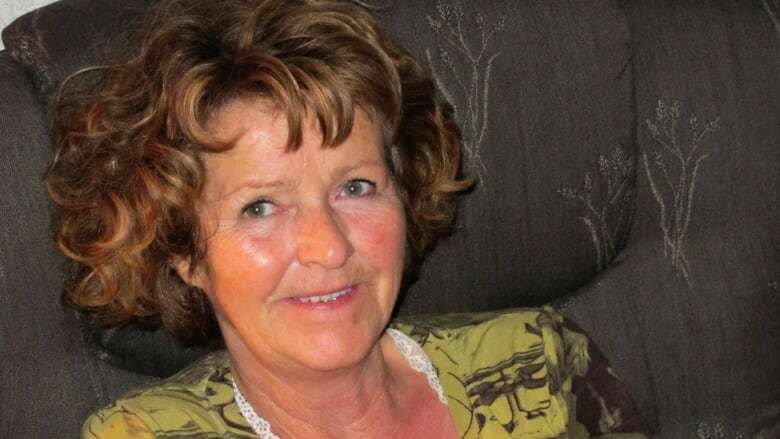 Anne-Elisabeth Falkevik Hagen has been missing since Oct. 31, snatched from her home outside Oslo. Her husband Tom Hagen, listed as Norway's 172nd richest person with a fortune valued at around $270 million Cdn, discovered a note — rife with spelling errors — in the empty house. It warned that "serious harm" would befall his wife unless he paid up. 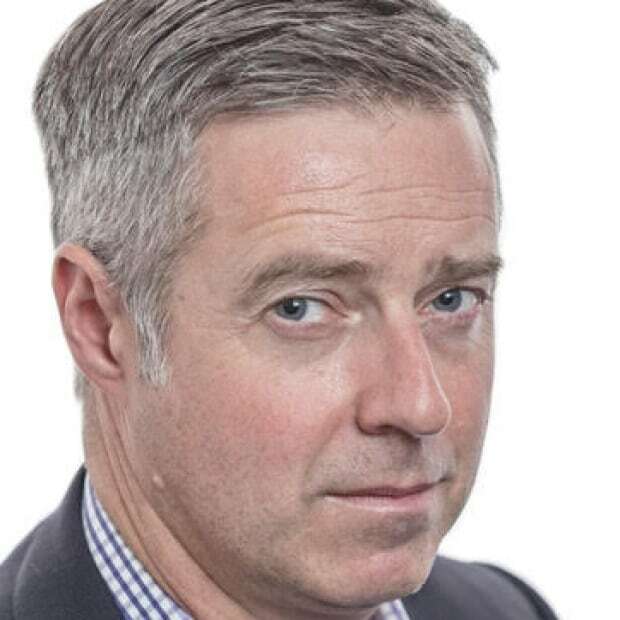 Police have been investigating for the past 10 weeks, and have had "limited" online contact with someone who claims to represent the kidnappers, Insp. Tommy Brøske, the lead investigator, told a news conference this morning. But they remain unsure if they are actually dealing with her captors, or whether the 68-year-old is even still alive. Now, they have finally gone public in hopes of generating tips. "Despite a broad and extensive investigation, we need more information," Brøske said. "We have no suspects in this case." Police are providing few details, but the Norwegian daily Verdens Gang reports that the ransom demand was for €9m ($13.71 million Cdn) payable via Monero, a cryptocurrency that obscures both the source and destination of payments. Hagen, who shares a name with Robert Duvall's mobster character in The Godfatherbut is actually the low-profile owner of a utility company and a real estate investor, has been told not to give in to the demands. Cryptocurrency kidnappings are a growing trend. The first major incident involved Ryan Bate, a Canadian entrepreneur living in Costa Rica, who was snatched in January 2015 and ultimately ransomed for a reported $500,000 US in Bitcoin. In December 2017, a Ukraine-based employee of a British cryptocurrency company was released unharmed after a three-day ordeal and a $1 million U.S. Bitcoin payment. South Africa has seen at least three crypto-kidnappings in recent months, including the July abduction of the owner of a supermarket chain — ultimately freed for 50 Bitcoin (then worth more than $400,000 Cdn). Just this week, a gang issued a 5 Bitcoin ($26,400 Cdn) demand for the safe return of a missing nine-year-old girl. Similar crimes have been reported in Turkey and India. Control Risks, a global consulting firm, issued a report this past summer detailing incidents in at least a dozen nations, and noting a significant uptick over the first months of 2018. The company said that those who flaunt their cryptocurrency wealth online are inviting targets. But ultimately, it suggested that most kidnappings will remain tied to old school, hard currency ransoms. "The unregulated and perceived anonymous nature of cryptocurrencies continues to attract the attention of organized criminal groups," the report notes, but "the majority of kidnappers will lack the necessary technical sophistication and are unlikely to move with any haste towards demanding crypto-ransom payments." Reporter Connie Walker and producer Anita Elash travelled to Garden Hill First Nation in northern Manitoba to see first-hand some of the serious water problems on reserves and the impact they're having on daily life. It's something that most Canadians don't think twice about. When you want a glass of water, you turn on your tap and get it. But for thousands of people who live on reserves in Canada, there are no taps — no running water or indoor plumbing. For others, the tap water isn't safe to drink. That reality affects every facet of life for the people who live it. We met Zachary Flett at the Garden Hill First Nation in northern Manitoba. He and his family live in a house with no water, no furnace and no power. They use extension cords connected to a neighbour's house for power to run a hot plate, fridge and TV. On cold winter days, he wakes up at 6 a.m. to start a fire in the wood stove and washes up using one of the pails of water they get from a community tap. The Fletts' living conditions are not uncommon among families in the community of 4,000. Garden Hill has a severe housing shortage, and the chief and council say they are in need of 300 homes. Andrew Flett, another local resident, used to live in a cabin with no plumbing or power, but when his daughter was born a few years ago his parents insisted the new family switch houses. Now, Andrew lives next door and his elderly parents live in the cabin with no running water. We weren't the first news crew to travel to Garden Hill to report on the water situation there. Its water woes have been well documented over the years, and several of the people we spoke to said they are tired of talking to reporters because nothing ever changes. Last month at the Assembly of First Nations chiefs meeting in Ottawa, Prime Minister Justin Trudeau talked about his government's $1.8 billion plan to help communities lift long-term boil-water advisories. It won't help the people in Garden Hill. They don't have a boil water advisory, yet nearly half the people on the reserve face significant challenges to get clean water. Twenty per cent of the homes in Garden Hill still don't have any running water at all, although that number is actually a major improvement — 10 years ago, it was closer to 50 per cent. Over the past decade, more than 200 homes in the community have installed water cisterns and sewage tanks, but many residents won't drink the water from their taps. They're worried it's not safe. They have good reason to be concerned. Data obtained by CBC News shows that the water in nearly one-third of the cisterns tested didn't meet national standards for water safety. Learn more about the problems facing First Nations communities like Garden Hill tonight in our story on The National. China has a bad habit that's proving extremely hard to break, writes producer Anand Ram. Name a time when a pack of cigarettes cost less than a dollar, doctors smoked regularly and cartons were given as gifts. Canada in the 1950s. Or China — right now. China's addiction to tobacco isn't new, but its magnitude is growing and putting the nation on the precipice of a health disaster. At 315 million, China has the world's most smokers. Fifty-two per cent of adult men and 2.7 per cent of women smoke, and more than 1 million people die of smoking-related illnesses every year. 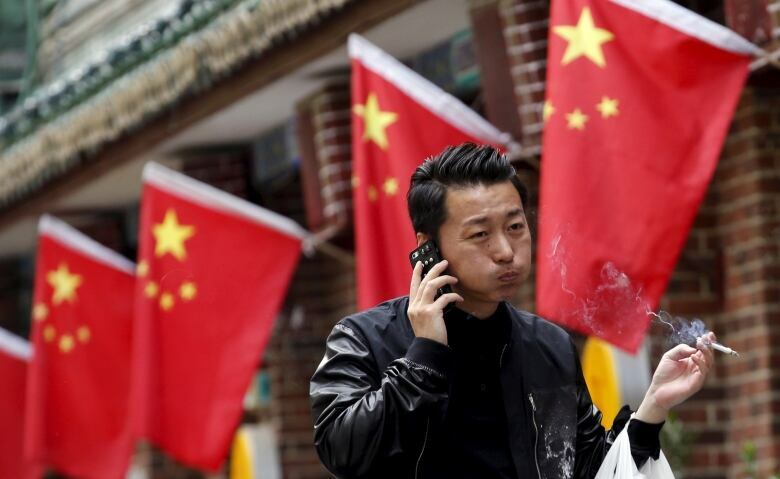 So why can't China kick its smoking habit? Mainly because it's not really trying to quit. Cigarettes are highly affordable, accessible and acceptable in China. It stems at least partly from a glaring conflict of interest: the government makes the cigarettes. 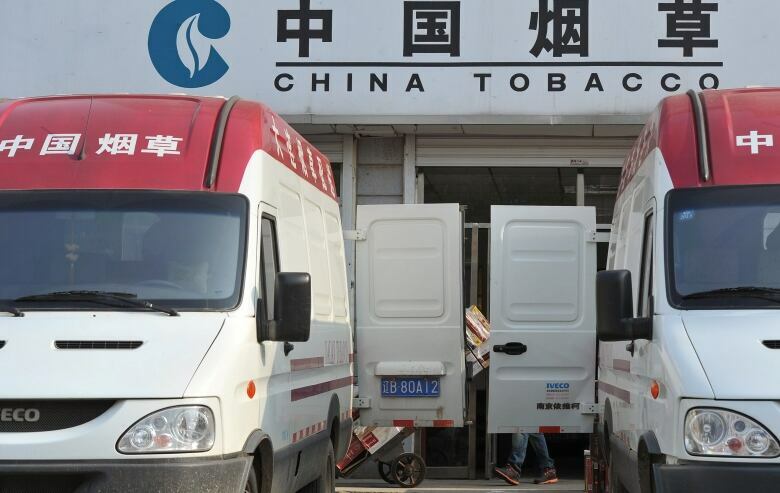 "The China National Tobacco Corporation is a government-owned monopoly," says Hu Teh-Wei, a tobacco economics expert at the University of California, Berkeley. The CNTC produces and controls virtually all of China's cigarettes. "The CNTC has a very powerful role in the Chinese government," Hu explains, "because it contributes 6 to 7 per cent of the central government revenue." Some estimates go even higher, but the implication is clear: Get rid of cigarettes and you're getting rid of more than $200 billion from government coffers. Economic- From farming to sales, tobacco employs a lot of people. Political- No politician wants to upset hundreds of millions of constituents by banning smoking. Social- Cigarettes are a common gift for weddings, birthdays — even when meeting someone for the first time. Meanwhile, China is actually a party to the World Health Organization framework on tobacco control — a global treaty with pledges to properly tax tobacco, limit advertising and use graphic warning labels. None of which China is doing very well. "It's almost like a parody," says Geoffrey Fong, senior investigator at the International Tobacco Control Project and the Ontario Institute for Cancer Research. He describes tactics like putting ineffective, text-only warnings on cigarette packs — strangely, even for a time in English, a foreign language. And stranger still, how China has "taxed" tobacco. "The first tax increase in 2009 was another one of these bizarro world policies," Fong explains. "They levied the tax at the producer level. But if you're the producer and you're state-owned … I mean, it's all an internal ledger thing. And so the 2009 tax did not lead to any price increase." A 2015 tax was more effective, applied at the wholesale level. But China's wage growth means smokers can afford the small price increase. Given recent fears of China's slowing economy, Fong says the government is facing potential problems and cigarette sales may be an anchor in turbulent waters. But Hu, who has studied China's tobacco industry and has advised the Chinese Ministry of Health, sees an opportunity. "It's a triple win," Hu says, if the government chooses to add another cigarette tax. "You raise [money]. You reduce consumption, which improves health and reduces mortality. And third, you reduce the medical costs." However, even if all of China were to quit now, the effects of decades of tobacco use on the health of millions of people won't just go up in smoke. 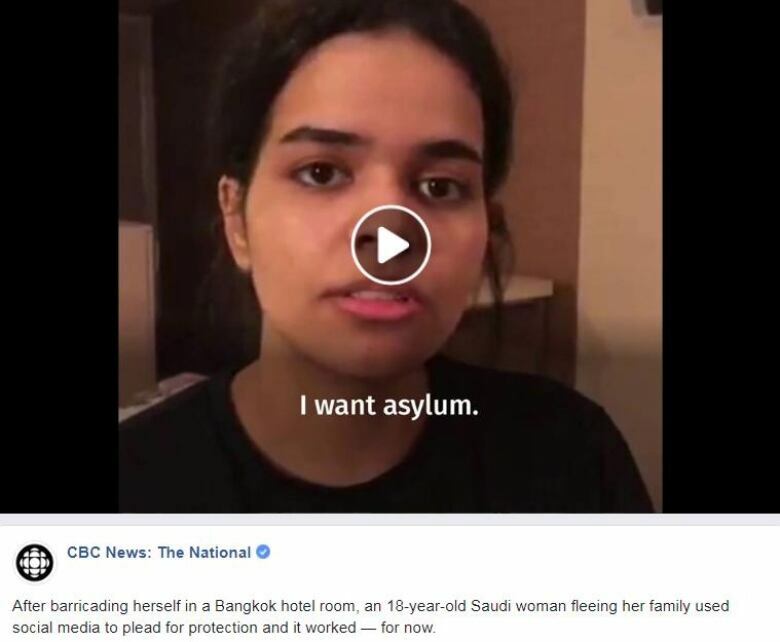 How a young Saudi woman turned to social media for protection. "If you must Photoshop, please focus on the hair (lack thereof), not the feet." 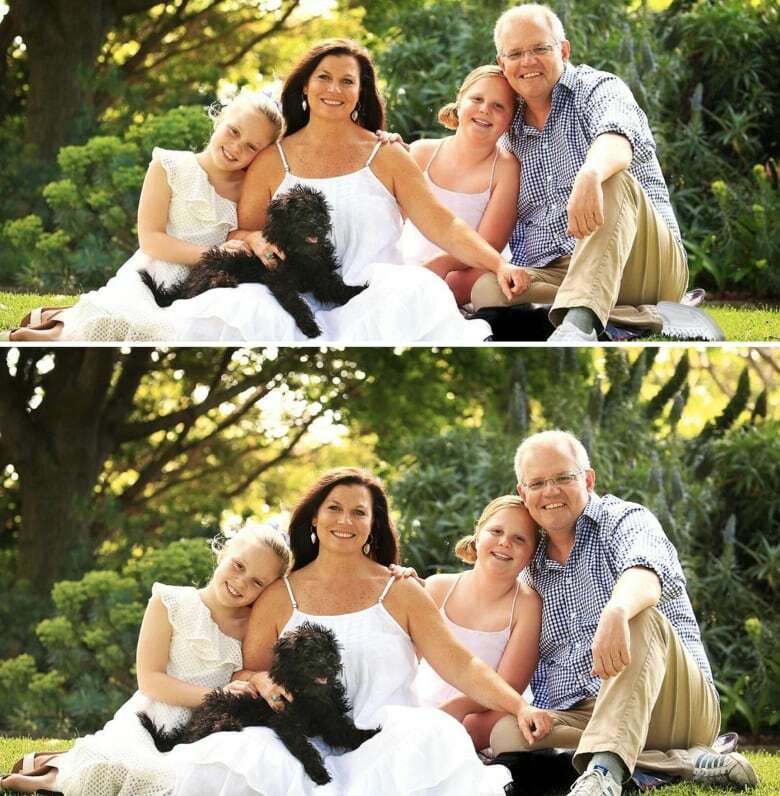 - Australian PM Scott Morrison gently chides his staff for a doctored photo of his scruffy sneakers. Hockey chaos is a tradition in Ottawa. Back in 2003, it was due to then-owner Rod Bryden being so broke he couldn't pay his players. He told his many creditors that they wouldn't do any better than his pennies-on-the-dollar restructuring offer. But the team ended up being sold for $127 million US to another hockey saviour — Eugene Melnyk. Told you.